Have a blast from the past at your next summer party. 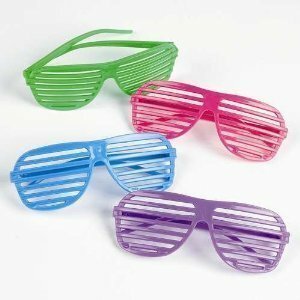 This set of 12 "Shutter Shade" style sunglasses make awesome party favors for your next 80s party. Assorted colors of purple, blue, pink and green. Fun for adults and children alike ! Makes great party favors !